This is the 4th stop of our tour and the 3rd stop for the Tourism Triangle Tour. 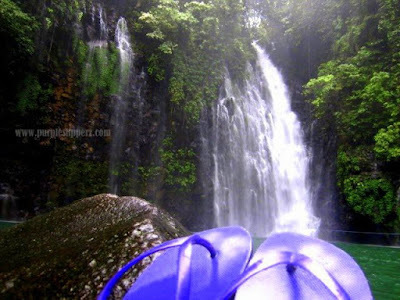 I have visited Tinago falls for 3 times already, however, that was I guess 10 years ago. So visiting it now, with my current weight and physical built is quiet challenging. Tinago falls is 13.8km away from the City proper and accessible from Buru-un Iligan City or through Linamon , Lanao del Norte. Tinago locally means "hidden" being hidden at deep ravine. Tinago is still open for the public . 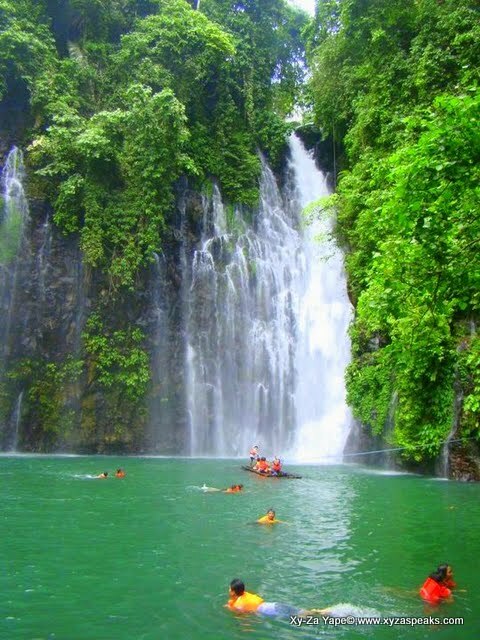 You can ask locals to guide you down the Tinago Falls, they can accompany you for an agreed price or for free! You will also see kids most specially on weekends to carry your bags for you and assist you as you go down and go up from the gorge. + Before you go down, take a rest for a while, around 5 to 10 minutes before going down the stairs. A tired feet might be shaking while you descend. + You might also want to get a "tungkod" to assist you if you have balancing problems. + This is not advisable for faint hearted or have problems with the heart. 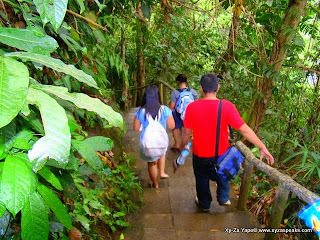 + There are some parts that are slippery when wet so just descend slowly. It's not a competition anyway. 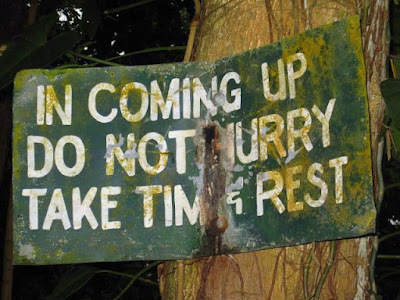 If you wanted to swim across the basin, you will be required to wear a life vest. Whether you are a good swimmer or not, you must wear a life vest. It's for your own safety. The water basin is too deep. The life vest will come in green, hot pink and orange color. You might be wondering why such colors, it is because the water in the basin is so dark and for overseers to identify someone it has to be in that glaring colors. So don't argue if it's not your type of color at all (hehehe). +Swim across the water basin to a small cave at the side of the falls. In good weather condition, the current is not strong just like when we were there.Wear your life jackets at all times, and listen to the local overseers. +Ride on the bamboo raft for a fixed price to get you near the waterfalls, and have someone with good zoom in lenses to take the pictures of you for printed memories. 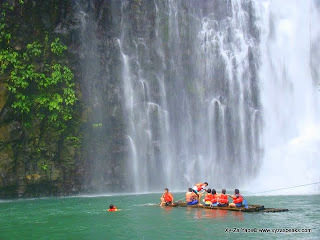 Your group will pull the rope attached to one side of the wall near the falls and the other near the banks, like what you can see in the picture. +Always observe courtesy all the time, to locals and to what locals believe. +If you brought food for your consumption, care to share it with you're hired overseers or the one's watching over your personal belongings. + Public Jeepney: Look for a Brgy. 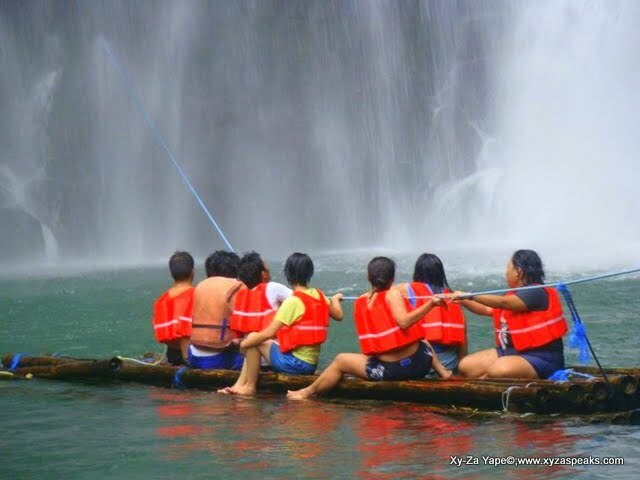 Buru-un Line (fare: 20Php/person) from the city proper and tell the driver to drop you off at Buru-un Talipapa where the Habal-habal station is for Tinago Falls. + PRIVATE CAR : Make sure that the car's engine is strong enough to ascend to 30 to 45 degrees inclination road. PurpleSlipperz signature pose :) Thanks to Pinaytravels for taking this pic. Pinaytravelista.com and searched all over the Internet. 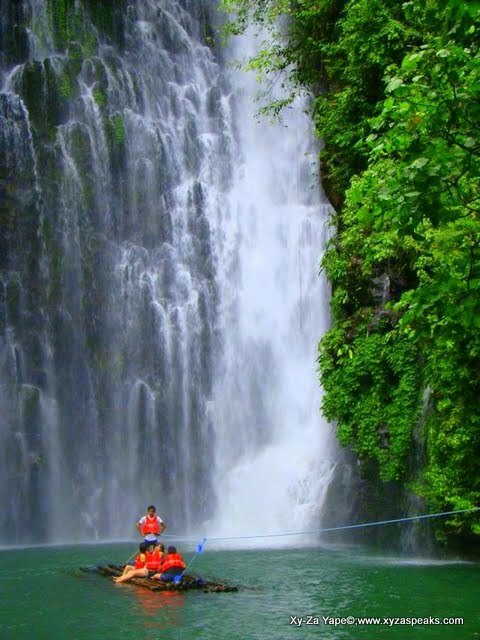 Out of the many Natural Attractions to be found in and around Iligan City, Tinago Falls is the one that impressed me the most. The sight and sound of the water over the falls and into the lagoon creating a cool gentle mist in the air is like natures own air conditioning for a hot sunny day. I agree, the manditory use of life jackets by swimmers is serious business. While I was there a swimmer decided to challenge this regulation by jumping into the lagoon and began swimming without one. The swimmer was verbally warned by the 3 lifeguards on duty to come out of the water immediately. After the third warning, the swimmer was removed from the lagoon by two of the lifeguards. I have read that the percieved depth of the lagoon may be at least 85 Feet although the true actual depth may still be unknown. There are landings at a few places on the stairway to stop and rest, I made use of them on the way up. I remember a shallow area for water runoff from the lagoon where I saw a very small child most likely having its first exposure to being in the water with assistance from the parents of course. It made me think, there is something here for everyone. I am not too much into outdoor sightseeing or adventure but my visit to Tinago Falls really made me appreciate what natural beauty is all about and is a place I will never forget. 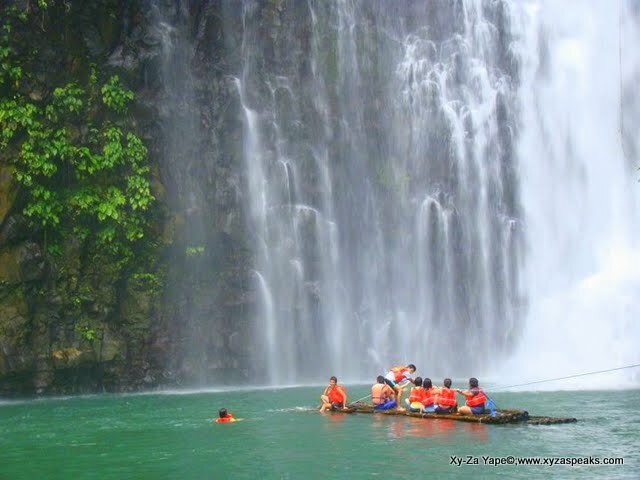 True, most specially now that it's seen in the movies a lot of people are coming in Iligan City and visits the hidden wonder of Tinago Falls. Thanks for a very nice and informative comment Bob New York! Hope to see you soon!